The New Adventures of Nero Wolfe was one of several radio incarnations of the armchair detective first made famous in Rex Stout's novels. 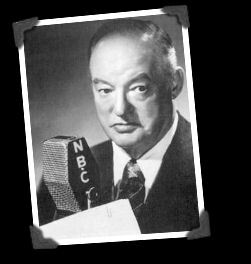 With Sydney Greenstreet (pictured) in the starring role, the show premiered on October 20, 1950 and ran through 1951 on NBC. Wolfe was unique in that he rarely left his house, depending on his assistant Archie Goodwin to conduct interviews, gather facts and report his findings to Wolfe, who would in turn solve the case. That is, when he wasn't occupied with his other passions-collecting orchids and dining on gourmet food.